There's no debate we live in a digital age where we all need our devices and the internet to survive. You would be hard pressed to find someone who doesn't have at least one internet connected device. Needless to say, both advertisers and marketers alike have shifted their focus from traditional mediums (print, billboards, etc.) to digital in order to better target audiences. But does that mean that the more traditional marketing tactics are obsolete? Not necessarily. Direct mail appears to be the old reliable of the marketing space. According to the Direct Marketing Association (DMA) Statistical Fact Book, spend with direct mail has increased from $45B in 2013 to $46B in 2014. Despite the shift to digital in almost all areas of the marketing space, direct mail has not only held steady, but grown as a direct marketing tactic. In addition, it is one of the lowest cost per lead tactics in this category. In 2012, the average cost per lead for new customer acquisition was $51.40 for direct mail compare to $55.24 for email and $52.58 for paid search. Direct mail is more than junk mail. Many direct mail campaigns include incentives and are targeted to both new and recurring customers. It is that letter you get from credit card companies offering you one of their cards or the coupon you get for 10% off at your favorite shoe store. Mail Lists - The list of recipients of your campaign makes or breaks its chances of success and must be tailored to meet your targeted audience. For campaigns targeting previous/recurring customers, this list is generated using internal databases. For campaigns targeting new customers, this list can be either compiled from published sources or purchased from a list broker. Creative/Design - Without strong creative and messaging behind your mailer, the potential ROI diminishes. In addition to the messaging, you also need to think about the actual design. The number of folds, complexity of the print, type of paper, size, weight, etc. also need to be considered, not just for their aesthetics, but for their impact on the overall cost per piece. Printing/Lettershop - After you have decided on the design and messaging of your mailer, it must be printed, folded, trimmed, stuffed, etc. before it can be mailed. There are two separate components of the actual fulfillment of the mailer: print and lettershop. The print portion is exactly that - printing, trimming, folding, etc. The lettershop is where the printed pieces will then be sorted, stamped, mailed, etc. using the mail list you've chosen. 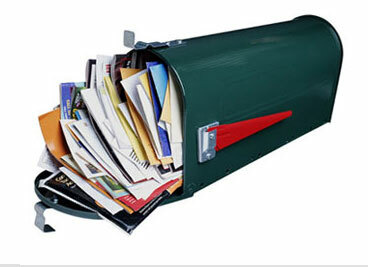 Postage - Postage is one of the biggest cost drivers of any direct mail campaign. While many believe it to be a pass through expense, it can be managed using different optimization strategies, such as commingling, intelligent mail barcodes, and more. Direct mail is a staple for many marketing strategies across a variety of industries and it doesn't appear that it will be fading out any time soon. As discussed, there are a number of factors that can impact the cost of your direct mail campaign, but each can be managed with the proper resources and market intelligence. Source One understands the intricacies of a direct mail campaign and can work with your organization to identify the best suited direct mail partner to meet your needs.